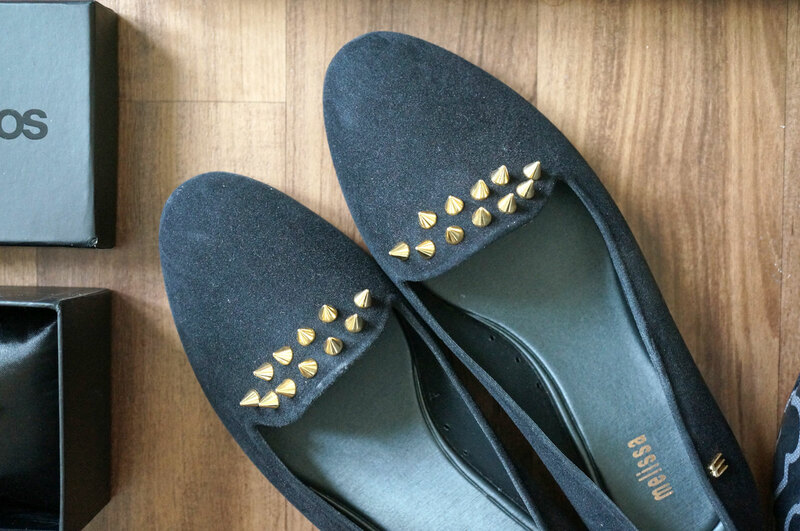 First up are these gorgeous Melissa Virtue Studded Flock Pumps from Logonstyle. They’re flat pumps which always get my vote as they’re super comfortable. They have a faux suede ‘flocked’ finish with gold pointed studs and I love that they’re simple enough to wear with a multitude of outfits, without being plain at all. Oh and did I mention they also smell of bubblegum?? No really, Melissa shoes are all scented, how cool is that! Logonstyle have loads of awesome designer pieces, and they have a sale on too right now so make sure you check them out! Next I have a gorgeous Black Trellis Print Canvas Bowler Bag from Landsend. This is smaller than my previous go-to every day bag, which is actually a good thing as I often found myself carrying around junk I didnt realise I had. Only the other day I decided to sort out my bag and found two cans of diet coke rolling around at the bottom – I wondered why it was so heavy! This bowler style bag is surprisingly spacious, and it’s also made of coated canvas so it’s easy to clean too. 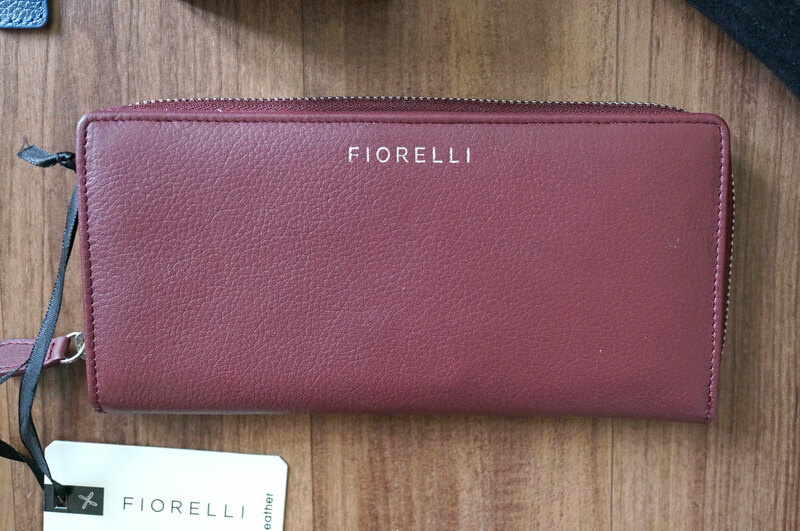 A couple of weeks ago I was lucky enough to win this gorgeous Fiorelli Emilie Claret Red Matinee Purse on Twitter! YAY! 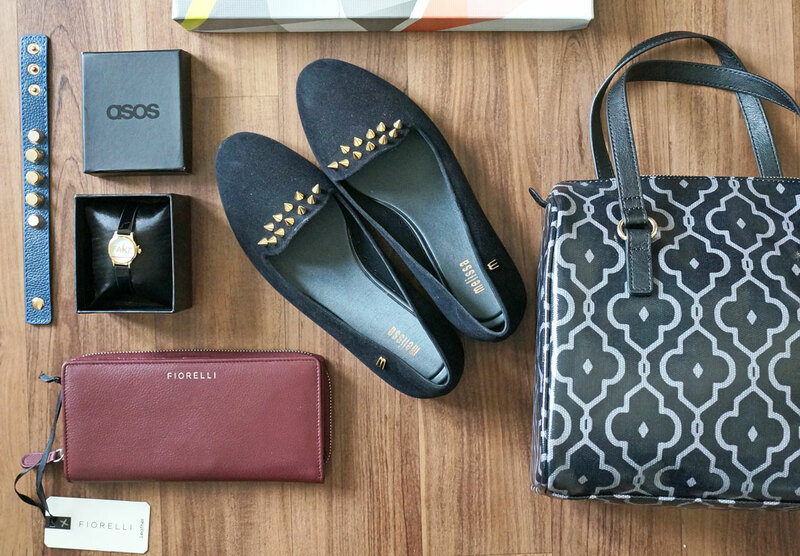 Fiorelli had a giveaway on where ten winners would get their hands on this purse, and I was chosen! Amazing! I’m in love with the claret red shade, it’s so gorgeous and perfect for this season. 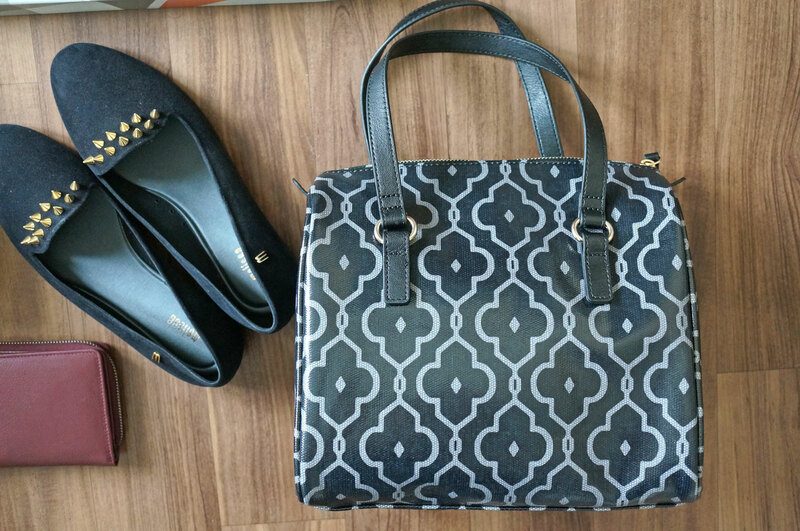 This purse is also pretty big, which is exactly what I need as I usually keep a pen and chewing gum in my purse as well as other bits and pieces. I think this may end up replacing my old and trusty Lady Dior wallet. And lastly this blue leather Ashiana Statement Leather Cuff with Studs – this was originally £30 then down to £8 in one of the many ASOS sales, what a bargain! I love anything with studs and spikes, and with this being real leather, and the studs being very similar to those on my Balenciaga bag, it has a definite luxe feel. 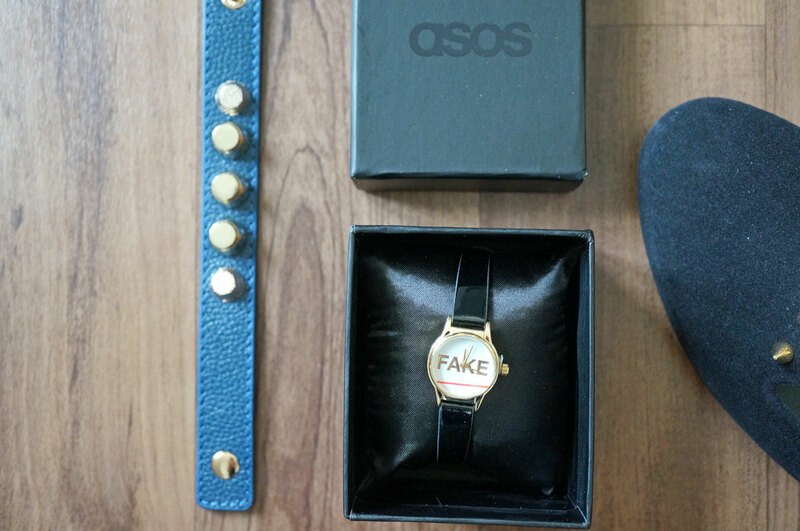 Also not forgetting my ‘Fake’ watch from ASOS too, this was only £5 so another great bargain! I’m not really a wearer of watches, but I love them as accessories and I reckon this will be sported on my wrist for the rest of the season! So there we have it, out with the old and in with the new. I’d love to hear if you’ve treated yourself to any new accessories for Autumn? Previous Post Lands’ End Launch at House of Fraser Norwich!